It’s been more than a month since water has flowed through drinking fountains at Detroit Public Schools Community District. Now, a more permanent plan will be discussed. The school board meeting that will be held Tuesday is the date circled on the calendar for superintendent Dr. Nikolai Vitti. Earlier this month, he announced that he’d be discussing a solution to the water issues plaguing Detroit schools — high levels of copper and lead in a number of the district’s 106 schools. The district has long eyed “hydration stations” as the solution to their water woes. It’s widely believed that it’s not the water itself that’s causing a problem inside schools, but aging infrastructure inside decades-old schools that is allowing higher than recommended levels of metals to leach into water before it reaches drinking fountains and faucets. Hydration stations both cool water while filtering out harmful contaminants like the copper and lead found inside DPSCD schools. The proposal is expected to involve one hydration station for every 100 students in a school — an additional station will be installed for each gym, faculty lounge and kitchen. The big question is how the stations will be paid for, and what the timeline for installation will be. Dr. Vitti told 7 Action News that he’s expecting to reveal a list of corporate sponsors that will help offset the cost at the Tuesday meeting. As for a timeline, the best information that’s been made available is that installation would start immediately with all stations being functional by the summer; nothing has been said about what schools may have functional hydration station before the end of the school year. 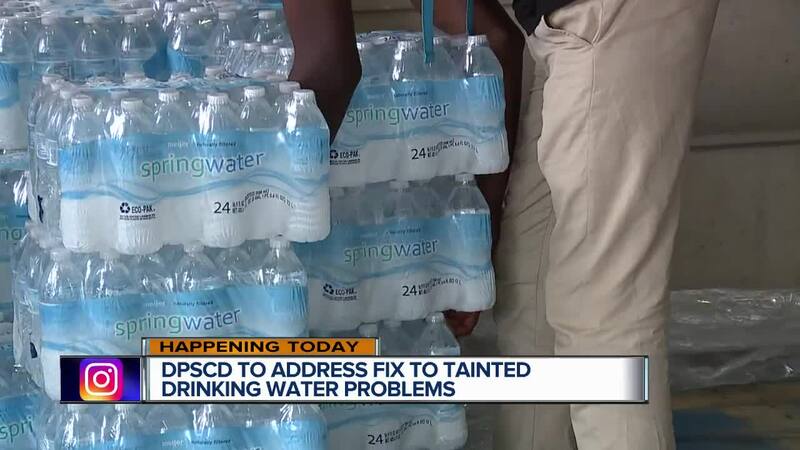 The scramble to fix the water issues inside DPSCD schools began back in late August after testing came back identifying 16 schools with higher than acceptable levels of copper and/or lead. The initial tests were run on 24 schools, leading to more tests for dozens of schools throughout Detroit. 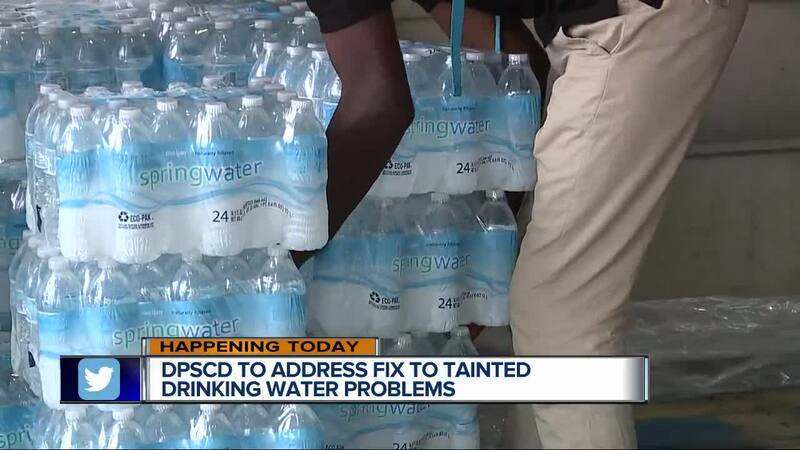 Testing still needs to be done on 17 more schools, but all schools have shifted to water bottles and water stations to avoid children drinking dangerous water.